The Sluggite Zone • Constructive Discussion Contributons The GAME! Constructive Discussion Contributons The GAME! Post subject: Constructive Discussion Contributons The GAME! Hiya Folks and welcome to a new game by me. The rules are simple. Make a non spammy post in each of the main discussion forums (Reactions, SRC, GC, Intros, WGARS, and POOP*. 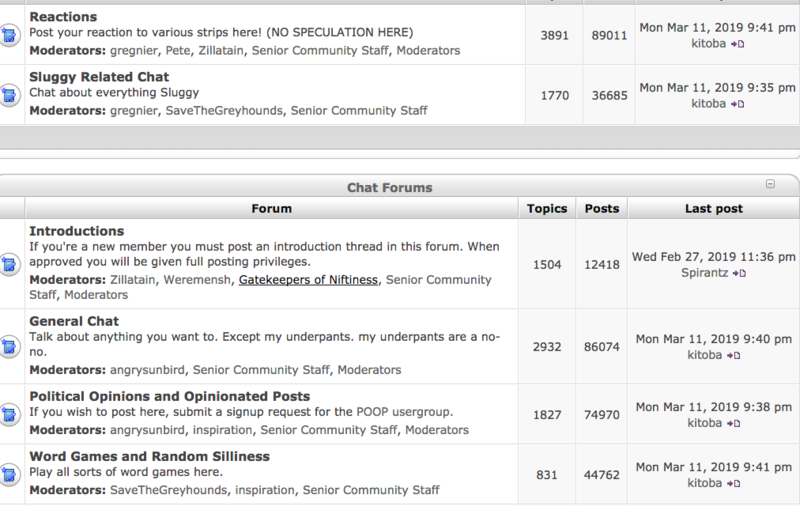 If you have the most recent post in all of these forums AT the same time, you get a point. The player with the most points at padlock is the winner! You can post a screen cap of the main page so I can verify your point. If I happen to notice it, I will credit you with the point no screen cap necessary. NOTE: DO NOT SPAM. You must be on topic with your posts! If you get dinged by a mod for spamming, that is - 5 points. Okay? The goal is to foster discussion. So anybody want to play? I hope so. Sign up here. *Note you will need permission to post in this forum to play this game. Post subject: Re: Constructive Discussion Contributons The GAME! That seems like it would be more of a penalty for everyone else. Kitoba, you forgot Introductions. Also it's not much of a game if only one person is playing. I suppose I could play but I was originally planning to stay out of it since I'm hosting. LOL. I checked your post history, Kahzmick. Your POOP post no longer exists. I must concluded either a mod removed it for some reason or you do not have permission to post there and you just photo shopped it in. Due to lack of evidence for moderator action I cannot apply the penalty, but will award you no point.